Ireland’s Ancient East is a new and exciting initiative that aims to promote the rich history and diverse landscapes of the 17 beautiful counties involved. Visitors are promised an easy and enjoyable exploration through 5,000 fascinating years of history and culture. It is an ideal way to plan your itinerary when visiting the Emerald Isle, as it appeals to history lovers, outdoor enthusiasts and adventure seekers alike. While experiencing captivating storytelling about various historical attractions and cultural hidden gems, you also get the opportunity to appreciate the undeniable beauty of Irish landscapes, with stunning views in spectacular settings. reland’s Ancient East is split into three separate sections in order to make it easier for visitors to plan their routes. 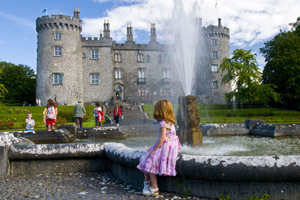 The Land of 5000 Dawns encompasses six counties, which are Cavan, Longford, Louth, Meath, Monaghan and Westmeath. 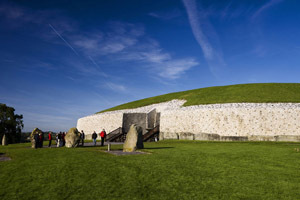 Its main features are that of Neolithic tombs, prehistoric sites and mythical landscapes, with key attractions including Newgrange and Belvedere House. The next section is called The Historic Heartlands and it covers the seven counties of Offaly, Laois, Kildare, Tipperary, Kilkenny, Limerick and Carlow. This part of Ireland’s Ancient East is prided on its medieval castles, distilleries and Mesolithic hunting grounds, with some highlights including the Rock of Cashel, Clonmacnoise and Kilkenny Castle. The final section is that of the Celtic Coast, which takes in the counties of Wicklow, Wexford, Waterford and East Cork. 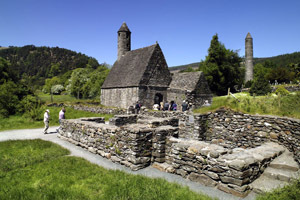 It is renowned for its fantastic monasteries, Viking cities and Titanic towns, with attractions such as Glendalough and Hook Head not to be missed. Overall, Ireland’s Ancient East offers so much to visitors and truly is an unforgettable experience that is perfect for making unique and everlasting memories. While exploring this route, you will be enjoying busy and exciting days, discovering the beauty and stories of the Irish landscapes. 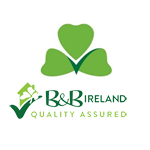 It is important to have a good touring base in order to ensure you have comfortable accommodation and friendly surroundings waiting for you after your explorations, Irish farmhouses are ideal for this, with the promise of a cosy bed, delicious breakfasts and welcoming hosts.